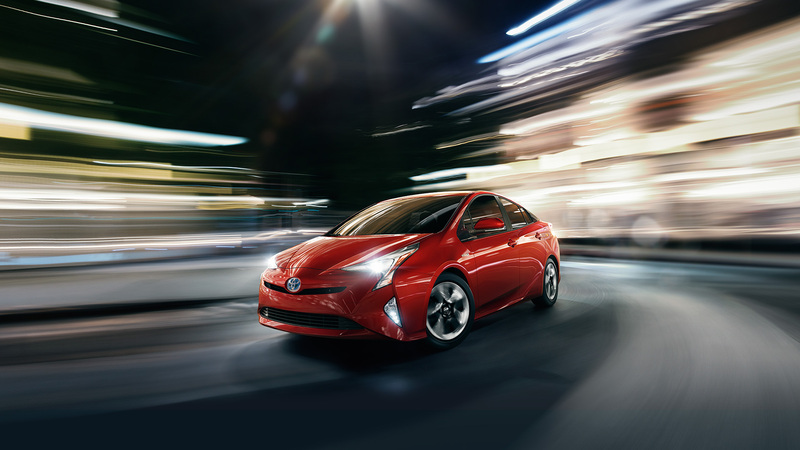 Now available for Santa Ana and Culver City drivers at Marina del Rey Toyota, the 2017 Toyota Prius is able to offer everything that the modern family requires. From impressive mpg ratings to nimble performance and a sprawling interior, it comes ready to fit around your life and start making everything feel that little bit easier. 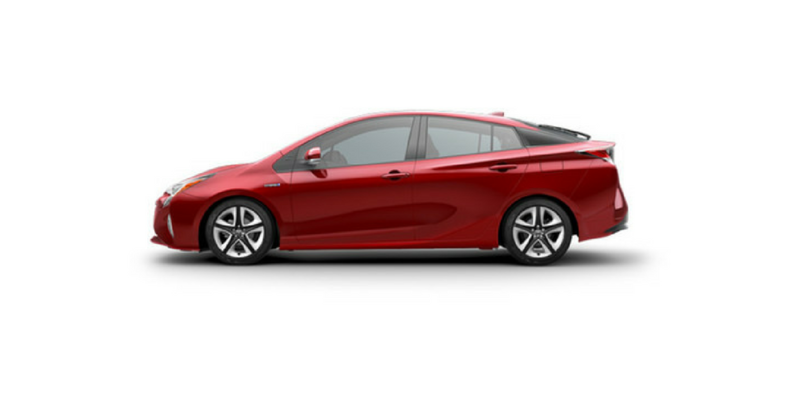 Let’s take a closer look now at what the 2017 Toyota Prius has on offer. The Toyota Prius has become a byword for efficiency ever since the line’s inception, and it continues to set standards for the hybrid class. For 2017, you’ll be able to command up to 95 hp and 105 lb-ft of torque thanks to the combined output of 1.8L engine and advanced hybrid powertrain. Forward-thinking materials have been utilized throughout construction to create a more rigid chassis than ever, resulting in a comfortable ride and enhanced handling and braking. Agile performance is assured, and efficiency scores come in at a staggering 54 mpg in the city and 50 mpg on the highway** with base-level models. 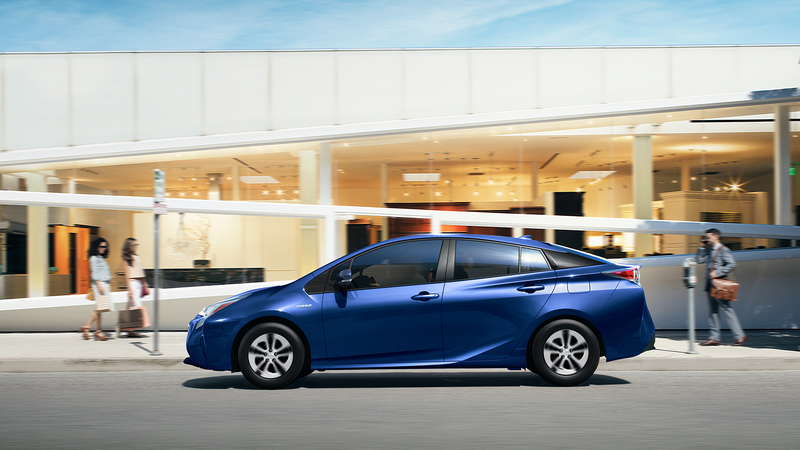 Take those numbers up even further to 58 mpg in the city and 53 mpg on the highway* by opting for an Eco model. 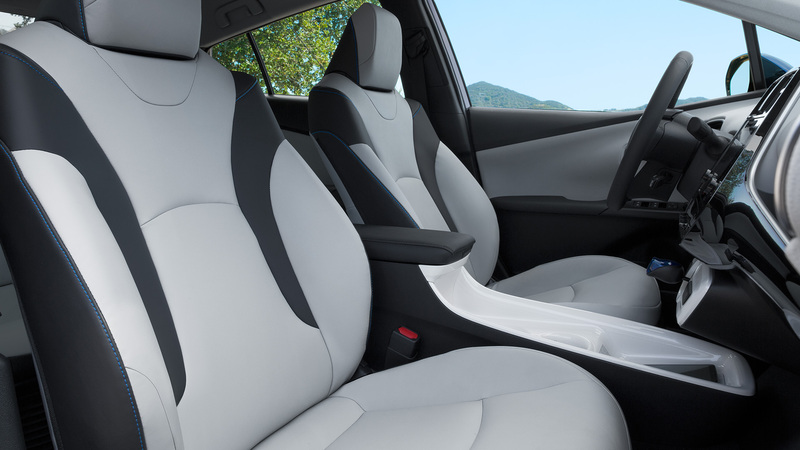 The Prius’ cabin can fit around your changing needs at the drop of a hat thanks to its excellent 60/40-split fold-down rear seats. They come as standard, allowing you to fold down one seat for a little extra space or the whole rear row for a cavernous storage area. With up to 27.4 cubic feet of cargo space and 65.5 with the rear row folded, you’ll have bags of space available for anything you want to bring. Qi-Compatible Wireless Charging: Hate leaving the house or office to find that your smartphone’s battery bar is down to a slim red line? 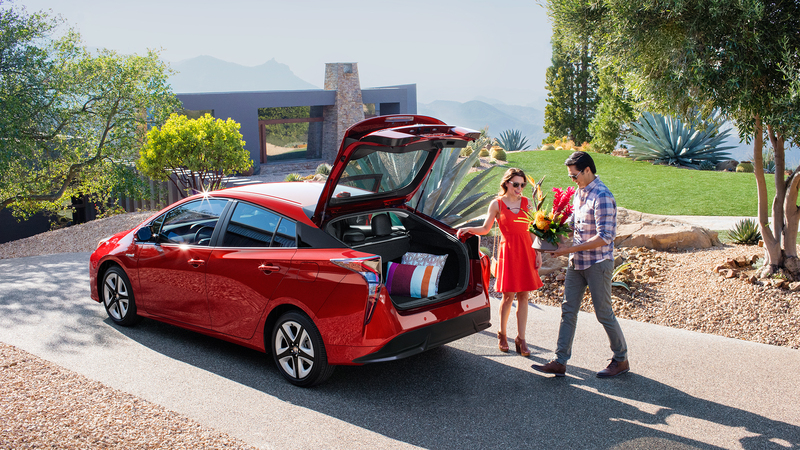 It won’t be an issue with the 2017 Prius. Just place your device on the available Qi platform to have it charge as you drive, no wires required. Entune App Suite: Bring your favorite mobile apps to your drive with the Entune App Suite system. All you need to do is sync up your smartphone to use apps like Slacker, Pandora, and OpenTable as you move about town. Intelligent Parking Assist (IPA): Slipping your car into a tight parking space can be both tricky and stressful, even in a smaller model like the 2017 Prius. However, the Intelligent Parking Assist system is able to automatically control the steering and help guide you safely inside any open parking space. The 2017 Toyota Prius has become a top choice among Santa Ana and Culver City families, and its popularity isn’t merely down to efficiency and versatility. This is also one of the safest vehicles in its class – a fact attested by the 5-star safety rating it achieved after exhaustive crash testing by the NHTSA. If that’s not enough, you’ll also be able to take advantage of a number of available driver assistance technologies, including a blind spot monitor, rear cross traffic alert system, and rain-sensing windshield wipers. Perfect for drivers who regularly cover long distances, these amenities can quickly sense danger and prevent hazardous situations from occurring. Santa Ana and Culver City drivers deserve a hybrid model that will work for them, and the 2017 Toyota Prius fits the bill. 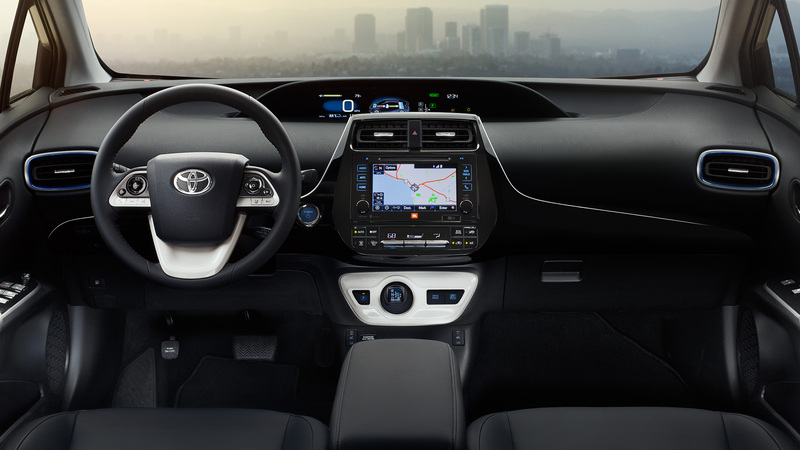 If you’d like to find out more, take a closer look, or even experience its celebrated drive for yourself, just pay a visit to Marina del Rey Toyota today. * 2017 EPA-estimated 58 city/53 highway/56 combined mpg for Prius Two Eco. Actual mileage will vary. ** 2017 EPA-estimated 54 city/50 highway/52 combined mpg for Prius. Actual mileage will vary.